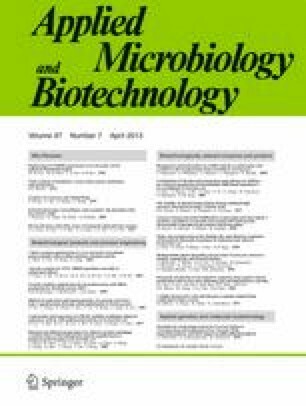 The alphaproteobacterial Roseobacter clade (Rhodobacterales) is one of the most important global players in carbon and sulfur cycles of marine ecosystems. The remarkable metabolic versatility of this bacterial lineage provides access to diverse habitats and correlates with a multitude of extrachromosomal elements. Four non-homologous replication systems and additional subsets of individual compatibility groups ensure the stable maintenance of up to a dozen replicons representing up to one third of the bacterial genome. This complexity presents the challenge of successful partitioning of all low copy number replicons. Based on the phenomenon of plasmid incompatibility, we developed molecular tools for target-oriented plasmid curing and could generate customized mutants lacking hundreds of genes. This approach allows one to analyze the relevance of specific replicons including so-called chromids that are known as lifestyle determinants of bacteria. Chromids are extrachromosomal elements with a chromosome-like genetic imprint (codon usage, GC content) that are essential for competitive survival in the natural habitat, whereas classical dispensable plasmids exhibit a deviating codon usage and typically contain type IV secretion systems for conjugation. The impact of horizontal plasmid transfer is exemplified by the scattered occurrence of the characteristic aerobic anoxygenic photosynthesis among the Roseobacter clade and the recently reported transfer of the 45-kb photosynthesis gene cluster to extrachromosomal elements. Conjugative transmission may be the crucial driving force for rapid adaptations and hence the ecological prosperousness of this lineage of pink bacteria. We thank Victoria Michael and Orsola Päuker for excellent technical assistance, Elke Petersen for graphical assistance, and Henner Brinkmann as well as Irene Wagner-Döbler for valuable comments on the manuscript. Finally, we thank two anonymous reviewers for their constructive criticism. This work including a PhD stipend for O. F. was supported by the Transregional Collaborative Research Center "Roseobacter" (Transregio TRR 51) of the Deutsche Forschungsgemeinschaft.